Mortgage Checker Software - Download Mortgage Checker Software to check your mortgage and home loans for interest errors. Is your mortgage one of the thousands being overcharged interest EVERY DAY? Get the facts on Home Loan Manager Pro, the only Mortgage Checker Software that can check your mortgage statements for errors in UNDER 5 MINUTES! As Mortgage Checker Software continues to help homeowners check their mortgage statements for bank errors, Home Money Manager is pleased to announce the release and immediate availability of Home Loan Interest Manager Pro version 1.1.050623. This mortgage checker software will help you check your mortgage and loan statements for mortgage errors. This latest mortgage checker software release adds the loan and mortgage summary view screen making it easier to view key information for each loan and mortgage. Mortgage Checker Software - For software details and to download now click here. 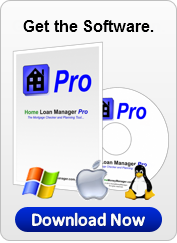 www.HomeMoneyManager.com - 29th June - As Mortgage Checker Software continues to help homeowners check their mortgage statements for bank errors, Home Money Manager, provider of Home Loan Interest Manager Pro mortgage checker software, is pleased to announce the release of version 1.1.050623 for Windows, Linux and Mac OS X. This mortgage checker software allows you to track your mortgage repayments, check for your mortgage statements for lender errors, calculate the refunds you are due and protect the thousands you pay each year in interest from bank mistakes. This mortgage checker software has been designed to simplify your mortgage and loans and to help keep you on track to paying them off sooner. With version 1.1.050623 of this mortgage checker software, Home Money Manager have introduced the summary view screen, providing an instant overview of the key information for each loan and mortgage. Detailed information is just one-click away, with all the reports listed under the report launcher section of the screen, including the interest checker report, balance checker report and refund calculator report. One of the main benefits of the summary view screen is the payout plan, providing up-to-date estimates of the savings you can achieve if you pay your loan or mortgage off sooner. Simply select a target loan term and payment frequency and the screen informs you how much to increase your mortgage repayments by and how much you will save in interest. The payout estimates are kept up-to-date each time you enter new loan information into this mortgage checker software, so you always have the latest payout figures available to help you reach your goals. 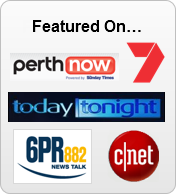 Home Loan Interest Manager Pro mortgage statement checker can manage, audit and track loan repayments for any type of loan where the lender provides regular statements containing the loan transactions. It can be used to track, manage and audit mortgage loans, home loans, student loans, personal loans, auto loans and boat loans. Checking your mortgage has become a necessity in today's lending environment, where computers do most of the bank's calculations with little or no human intervention. Home Money Manager recognises the need for individuals to be able check their mortgage statements and audit their own loans in a quick and easy way, without it costing them a small fortune in fees. 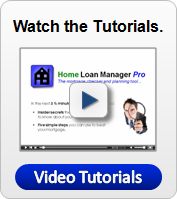 Home Loan Interest Manager Pro, mortgage checker software, was created for this purpose. 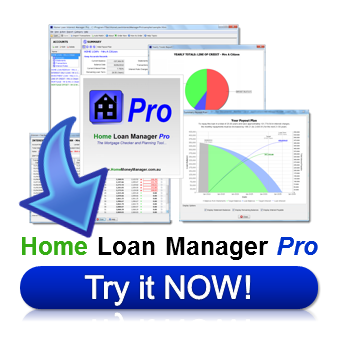 Home Loan Interest Manager Pro build 1.1.050623 may be purchased securely online at http://www.homemoneymanager.com . This release is a free upgrade to existing customers. 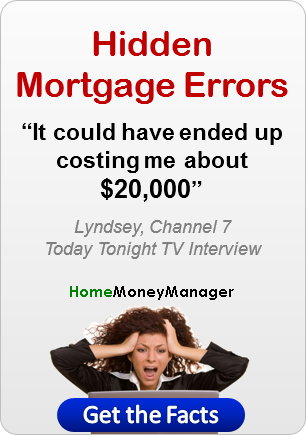 Home Money Manager specializes in the production of mortgage audit and home loan manager software. 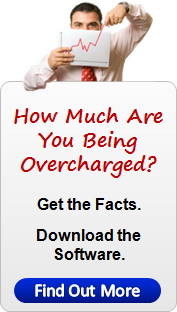 Download mortgage checker software and find out if your mortgage is one of the thousands being overcharged interest EVERY DAY.